When it comes to replacing Lincoln Hills and Copper Lake youth prisons, there is no shortage of opinions. Or outrage. That was the case last week after Gov. Tony Evers announced where the state-run facilities will be located and it became clear that Milwaukee will become home to two new facilities–one run by the state and one run by the county. In his budget proposal, the governor suggested postponing closing Lincoln Hills and Copper Lake indefinitely and dramatically increasing the amount of funding for the new replacement facilities. Neighborhood residents, elected officials and advocates all expressed frustration with the news, which reached a crescendo at a meeting last week hosted by Milwaukee Common Council President Ashanti Hamilton, whose district is where the contested site is located. 1. The state took Milwaukee County’s chosen site to build a new secure facility. Evers announced last week that the Department of Corrections will begin to build two Type 1 secure facilities for youth with the most severe offenses. One of the locations is in Milwaukee, 6600 N. Teutonia Ave., and it is the same site where Milwaukee County was planning to build its new youth facility. The other state-run secure facility will be in Hortonia, Wisconsin. The state-run facility will have 32 beds, Carr said. As of December 2018, there were 19 youths from Milwaukee County who would be housed in the replacement facility. State Sen. Lena Taylor said the Milwaukee County site will be at least 14 acres. In January, Milwaukee County announced its two final locations for a proposed facility for youth with less severe offenses: 6600 N. Teutonia Ave. and 6101 W. Mill Road. The county has re-opened its search for a site after the governor’s decision to build on the one it had chosen, said Mary Jo Meyers, the county’s director of the Department of Health and Human Services. She added the county also is considering privately owned land. 2. 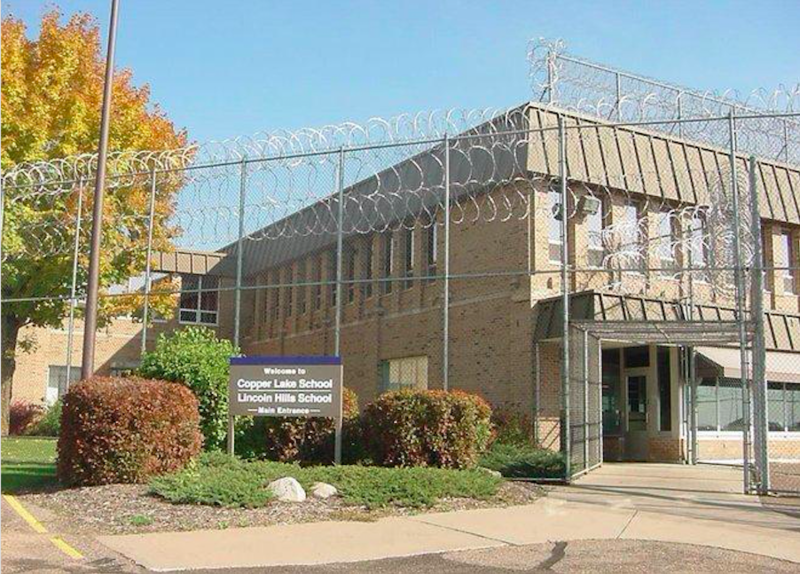 Evers proposed to more than triple the funding for building facilities to replace Lincoln Hills and Copper Lake and to more than double the size of Mendota Juvenile Treatment Center. In his budget proposal, Evers requested an increase in state funding for Act 185 from $80 million to $274 million. The proposal increased the amount for the state-run facilities for Serious Juvenile Offenders from $25 million to $115 million for the two facilities. His plan also increases the amount for counties to compete to open centers for youth with less severe offenses from $40 million to $100 million. Additionally, the proposed budget nearly quadruples the amount allocated to expanding Mendota Juvenile Treatment Center, from $15 million to $59 million. As of last week, Mendota had a capacity of 43 beds but only had 24 youth staying there, according to Department of Corrections data. As of December 2018, there were only seven youth from Milwaukee placed at Mendota. The governor’s budget proposal also gets rid of the requirement that the state Department of Health Services needs approval from the Joint Committee on Finance before constructing the expansion of Mendota. 3. Evers proposed to indefinitely suspend the deadline for closing Lincoln Hills and Copper Lake and delayed the timeline for counties to receive state grants to begin building new facilities. Act 185 required that Lincoln Hills and Copper Lake be closed by January 2021, but Evers’ budget removes that deadline. The budget proposal also extends the timeline of the grant program for counties by three months. As is, counties need to submit their grant proposals to get state funding for new facilities by the end of March. Evers proposes changing the deadline to June 30. Recommendations would then be due to the Joint Committee on Finance by October 1, instead of July 1. 4. Milwaukee County announced the anticipated cost of building its new facility. The county-run facility for youth with less severe offenses will cost an estimated $39 million, Meyer said. The facility will have 40 beds that will be separated in “pods” of 8-10 youth. It will be staffed to have one adult per every five youth, and staff will be trained in “youth development principles.” Meyers said this will include education, vocational training and mental health treatment. There are currently 56 youth from Milwaukee County at Lincoln Hills and Copper Lake who would qualify to be in the county facility. Meyers said that the county would like to offer alternatives to correctional placements for youth but that Act 185 mandates funding be used solely for buildings. 5. Youth Justice Milwaukee advocates changing the funding structure of Act 185. Sharlen Moore, co-founder of advocacy organization Youth Justice Milwaukee, reiterated the group’s position that the current reform legislation calls for too many new facilities. 6. Until Lincoln Hills and Copper Lake are closed, the price of housing youth there is going to continue to increase. For every young person a county sends to Lincoln Hills or Copper Lake, the county needs to pay the Department of Corrections a daily rate. Meyers said it costs a county $144,000 a year per youth. For fiscal year 2019-2020 the yearly rate for a young person to go to Lincoln Hills or Copper Lake is $182,865. For 2020-2021, it goes up to $200,932. Any funding adjustments would need to be approved by the state legislature. Lawmakers in Madison are discussing a bill that could potentially make changes to Act 185 as well as the proposed budget over the next few months. We know this is a complicated issue. If you have questions, please send them to info@milwaukeenns.org with the subject line “youth prisons,” and we will do our best to get them answered.